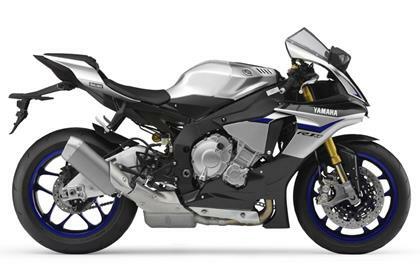 Semi-active electronic Ohlins suspension gives the special edition R1M an extra layer of sophistication, grip, control and confidence over the already brilliant 2015 standard model. 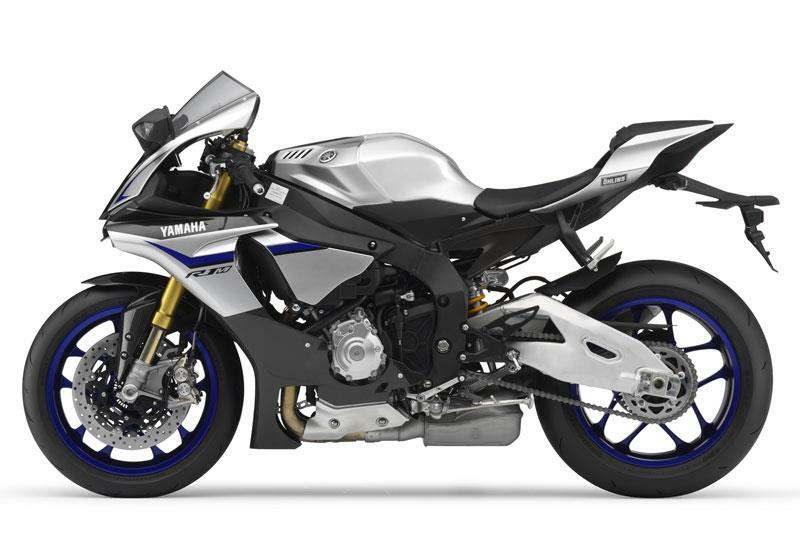 You also get carbon goodies, a datalogger and a Yamaha Racing Experience thrown in with the price. 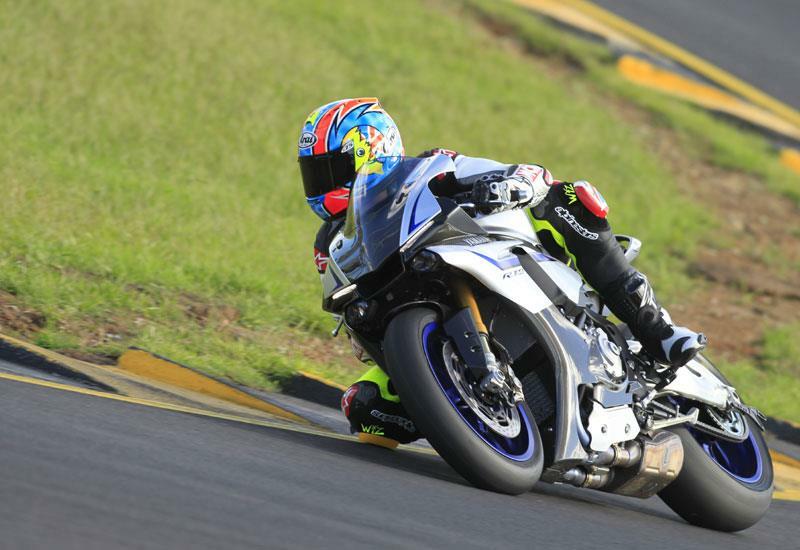 The main difference between the R1 and R1M is the suspension. 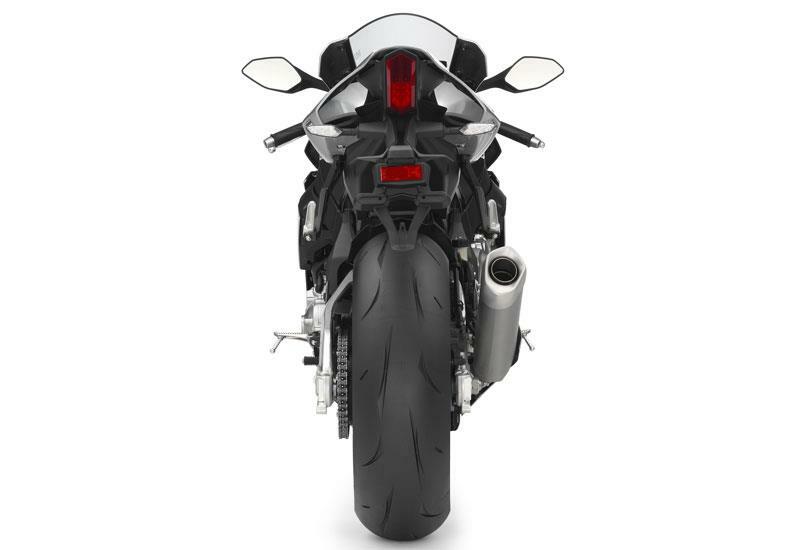 The standard bike comes with fully-adjustable KYB forks and shock and the M has Ohlins Electronic Racing Suspension (ERS), which works together with the Yamaha’s clever internal, six-axis Inertial Measurement Unit (IMU) gyro. Spring rates are up on the standard R1 to cope with hard track use. Using data gathered from the IMU, the R1 knows whether it’s leaning, accelerating, stopping, spinning, adding traction control or making a cup of tea. 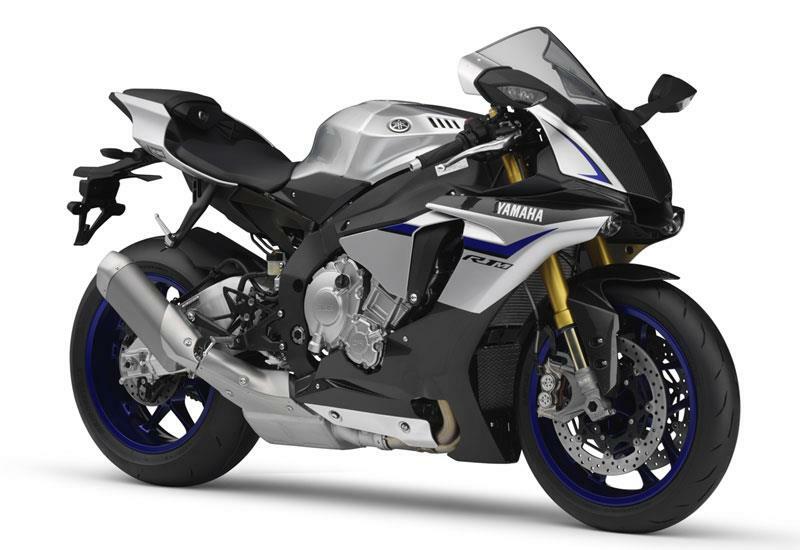 For the R1M this data is used to continually adjust the rebound and compression damping inside the rear shock and forks, as well as controlling the linked brakes, traction and slide control. You can run the ERS in a number of set modes, fine-tune the damping yourself, or turn the whole system off, so you’re left with normal manually-adjustable suspension. The system gives you the perfect suspension set-up every step of the way, giving you maximum grip, stability and confidence as it softens over the bumps and stiffens under hard braking and acceleration. And we’re talking Ohlins forks and shock here, so the ride quality is second to none and plusher than the standard bike’s. Engine spec is identical to the standard model’s (see 2015 Yamaha R1 review) and wails like the factory YZR-M1 at full pelt. Producing 197bhp and crammed with lightweight internals, the short-stroke, high compression crossplane motor hits hard, but it’s lost some of the previous R1’s low down grunt and linear power delivery. 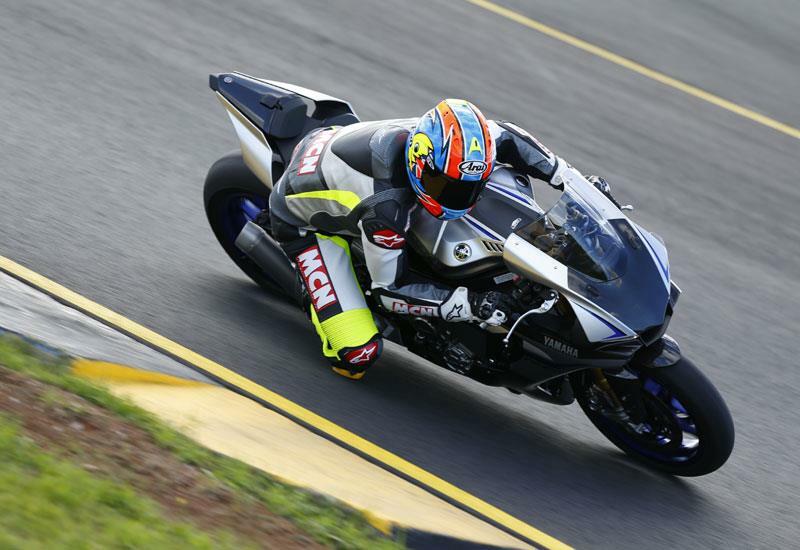 Swathes of carbon fibre, electronic Ohlins, a polished swingarm and a lacquered ali tank make the R1M one of the most desirable Japanese superbike ever made. Built quality is top drawer and reliability shouldn’t be a problem. It’s going to be out of reach for all but the most well-heeled of bikers, but compared to its fully-loaded European rivals, the R1M is a bargain. 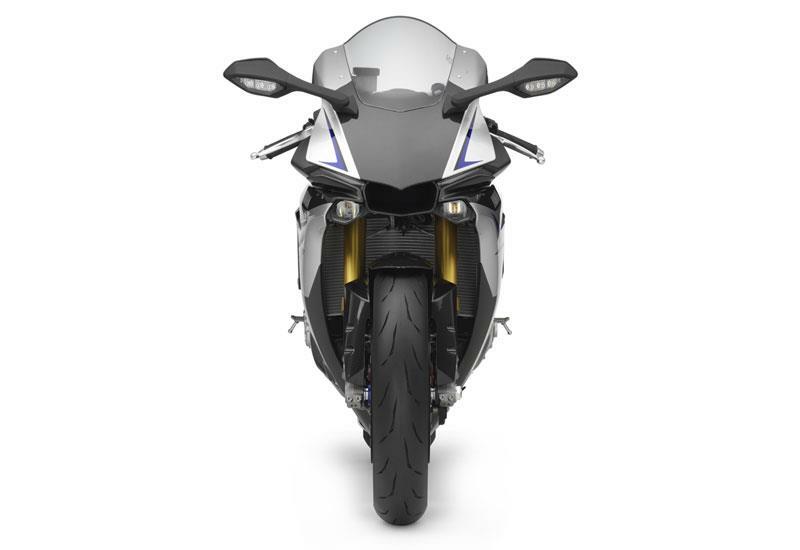 You get all the same mechanical and electronic bells and whistles of the standard R1, plus the electronic suspension, but for the extra money the R1M also comes with carbon fibre fairing panels, front mudguard and single seat. The exposed ali fuel tank is clear lacquered and the swingarm polished. You also get sticky Bridgestone RS10R tyres, and a place on a Yamaha Racing Experience and a ‘Communication Control Unit’ (CCU) – a datalogger to you and me. It records everything from speed to lap times, GPS tracking and lean angle and can be viewed via an app on a tablet. The CCU is also available as an option for the standard R1. Rear suspension Single semi-active Ohlins rear shock. 1 owner has reviewed their YAMAHA R1M (2015-2017) and rated it in a number of areas. Read what they have to say and what they like and dislike about the bike below. Wow what an amazing bike, So much fun to ride and when not riding you find yourself going out to the garage just to look at it. The finish on the bike is excellent. I love the bare metal tank. It’s Japanese so will be fine. So many toys to play with the screen takes a little working out but once you do it’s super easy. Bought from a dealer had to pay full asking. Yamaha customers service has been amazing and are super quick to resolve any issues.